Our business centre hosts 28 offices which are available to rent. Rooms vary in size, and can facilitate from 1-6 desks. 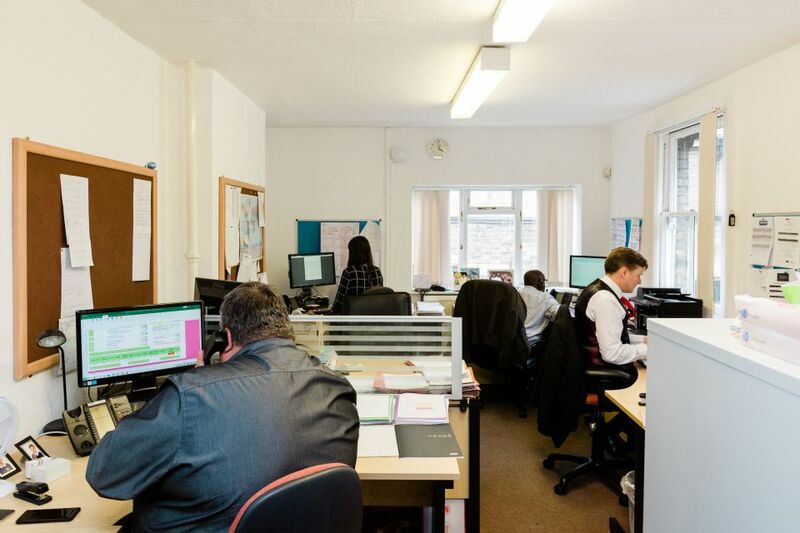 On top of our bright and airy rooms, clients benefit from 24/7 access and administrative services provided by our reception including a post service and a greeting service for visiting customers. If you are interested in moving your business to Anerley Business Centre, please read through the information below which will hopefully answer your questions. You can then register your interest by clicking on the 'register your interest' button below. Prices are based on the number of desk spaces and not the size. The rent quoted is per month and does not include phones or parking. Rents are not negotiable, however if a tenant wishes to occupy a number of units then a time limited concession may be made. Included in the monthly charge is all furniture*, office equipment and telephone handsets, which will be installed once a tenant has decided to take occupation. Utilities, including electricity, rates, heating, cleaning of communal areas etc. The only extra monthly charges will be for phones & parking. *If you would prefer to bring in your own furniture this can be discussed with the Business Centre manager. Please note that this must comply with Health & Safety regulations. Tenants will be given a notice explaining the implications of the lease. Following this, there is a 14 day “cooling off period” during which the tenant should make themselves aware of the lease and if necessary gain legal advice. At the end of this period an agreement will be drawn up and the tenant can move into the premises. Further details are available in the information sheet. There is a monthly service charge for telephones dependent on the number of desks in the room. Charges are £40 per desk per month this includes high speed Internet, VOIP phones and all local, national & mobile calls. This is not negotiable. There is a receptionist between the hours of 9am and 5:00pm however there will be 24-hour access for tenants. All of the downstairs windows and any windows that open onto a flat roof will be secured with locks. The front door operates with a key fob system which allows 24 hour access. The individual rooms are all equipped with deadlocks and the tenants will be issued with the keys. There is a meeting room on the ground floor available for hire (subject to availability) at a rate of £5 ph. There is also a training room with whiteboard, DVD player and flipchart available. Larger rooms may be available please contact reception for information. Each room has phone sockets equal to the number of desks. Telephone handsets will be provided. There is High Speed Fibre Broadband to all rooms. There is no provision for a fax and you are not able to bring in your own VOIP system however it may be possible to port over your existing number. When moving out it may not be possible to take your number with you. The connection offers the ability to connect to other PC’s within the same room. This will allow for the sharing of data if required within a particular business unit. The external connection itself is a high speed dedicated Fibre connection. This connection goes straight out to the internet. People will need to make provision for their own email accounts. When a person physically connects their PC to the structured cabling, it will initiate the configuration of this set-up automatically. Therefore the equipment is self configuring for the users convenience. The tenant will be required to take a minimum lease of one year however upon six months there will be an option to activate a break clause. Subsequently the break clause will be actionable every month thereafter. After a year the tenant rents into a new lease. The lease will be outside the security of tenure provisions of the 1954 Landlord and Tenant Act. Two months rent up front is required which will be held as a deposit. Prior to moving in, tenants would need to pay their deposit plus one months rent. Rent is to be paid by direct debit or standing order on a monthly basis. Visitors must sign in and wait in the seating area adjacent to the reception to be collected. All visitors must return to the reception at the end of a visit to sign out. The receptionist will contact businesses by telephone if a delivery arrives for them. If there is no response from the room, providing the parcel is not a bulky item, it can be signed for and held in reception. Post is logged and delivered to the rooms, usually by 1pm. There is a board containing the names of each business and the rooms that they occupy as they enter the building. Where possible we will assist businesses in promoting their company. Offices can request one parking space at a cost of £10 per month. Designated parking bays are then issued along with a permit. The ground floor is fully equipped to enable wheelchair access with a ramped entrance access, an automatic door, a disabled toilet and two disabled car parking spaces for visitors. 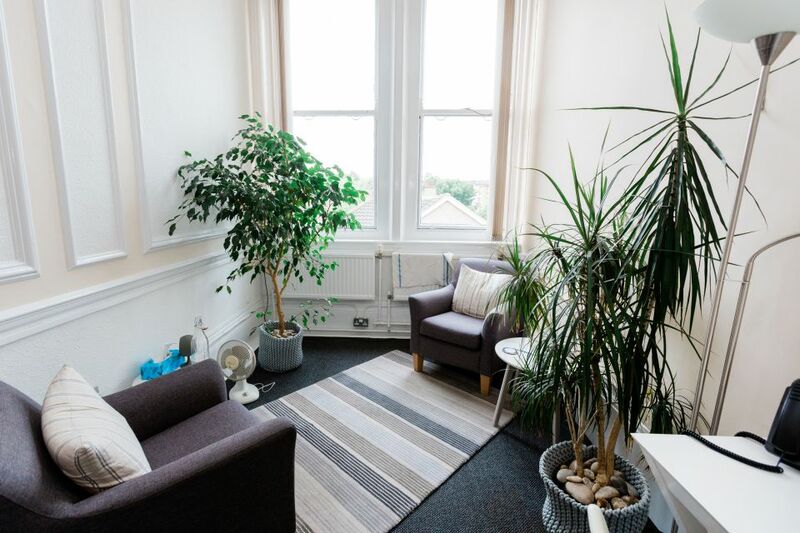 There are facilities on site for photocopying; these are available at an extra charge to the tenant.